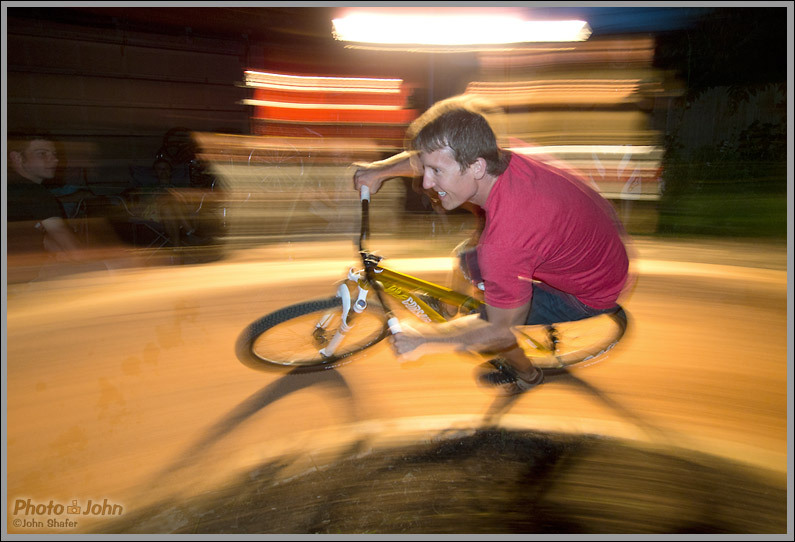 Thread: Olympus E-PL2 Pumptrack Action! In my ongoing effort to refine my Pen camera action shooting, I shot a pumptrack party this last weekend. For those of you who don't know, a pumptrack is a little backyard bmx / mtb track with berms and bumps, built so you "pump" the bike instead of pedaling. It's really good training for technical skills and it's a much better workout than you'd expect. 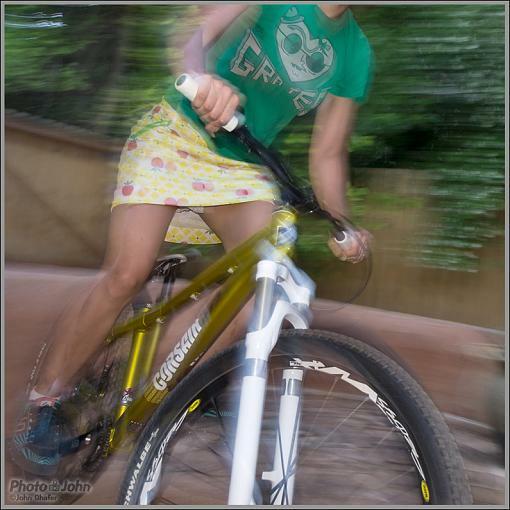 I decided to take the Olympus E-PL2 because good pumptrack photos are hard to take. 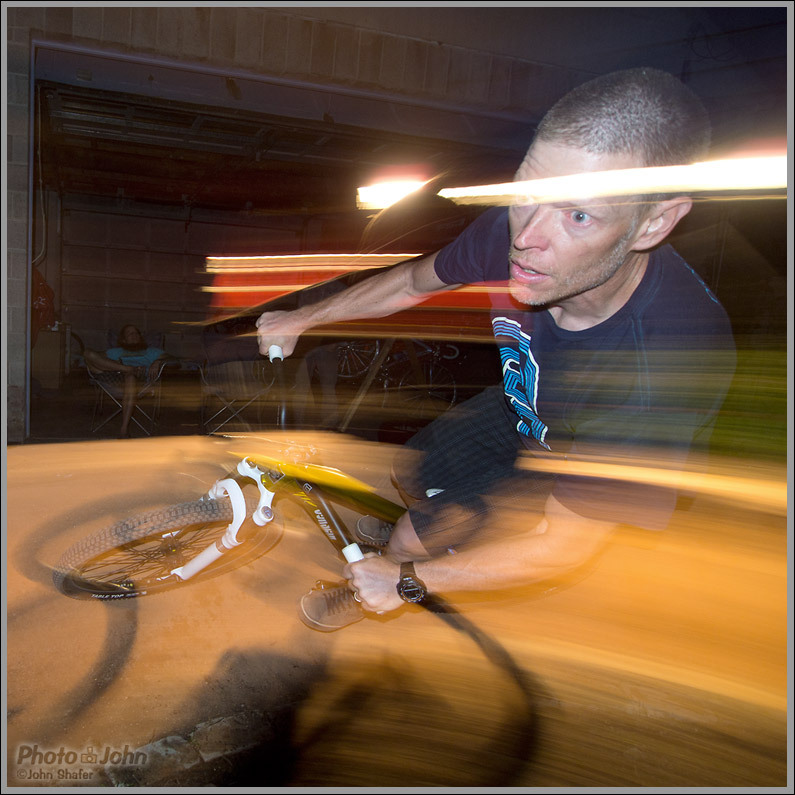 I used the Zuiko 9-18mm zoom and the pop-up flash, pretty much using the camera like a point-and-shoot in aperture-priority and letting the blur happen. I'm really happy with these photos and feeling really good about taking the Pen camera on my trip to Italy next week! 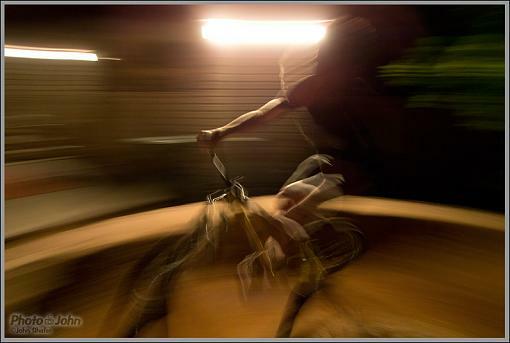 Re: Olympus E-PL2 Pumptrack Action! Damn! Looks good! How did you work around the AF issue? This sort of work seems much better suited to phase detect AF, did you manual focus or what? Plan the shot, pre-focus and pan - that's always the most effective method for capturing action. It's only when you need to shoot bursts and pick the best body position that continuous auto focus really becomes necessary. For the pumptrack I would have used the same technique even if I had a camera with phase detect auto focus.